What's It Like Being A Miner? 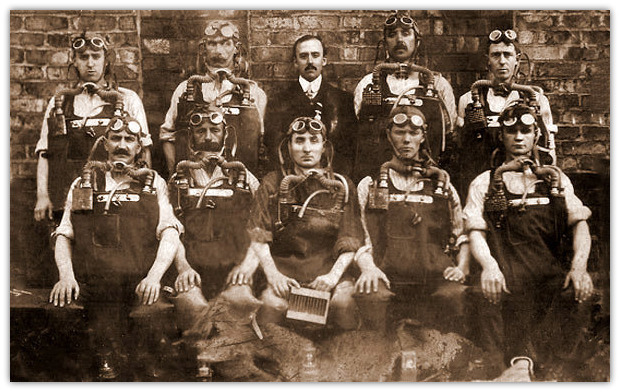 Christine Atherton - These Guys Look Like Rescuers, Who Are They? Thomas Galley and Joseph Galley were relatives of mine, do not know much about Thomas but Joseph was badly burnt on his arms and it was broken however during his recovery he was actually murdered by a farm labourer who was then found guilty and sentenced. I am trying to find details on death of Thomas Galley age 16 at White Barn on 7 July 1861 and about injuries to Joseph Galley (brother) following explosion at White Barn in 1874. On the message board from Greg sent 3rd June 2007. Subject: Thomas Galley age 16 killed at White barn colliery 7th July 1861. Plus injuries to Joseph Galley (Brother)in Explosion at White Barn colliery 8th April 1874. I can confirm on that date, Thomas was killed, as I have it in my deaths data base but have no details. Regarding the explosion 1874, it is on the web site. 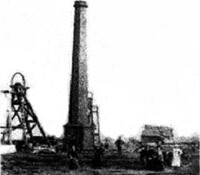 Subject: Any Information On My Grandfather, Harry Lane, Worked at Clipstone Pit? My Grandfather, Harry Lane worked at Clipstone pit from about 1925 until he retired, he was also very active in the British Legion. As well his wife Mable Lane was involved in social work in Clipstone. Do you know where I may find any paper records or photo records that relate to this mine? 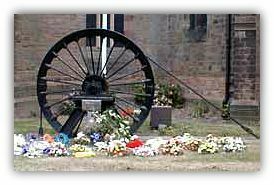 Love the site and the memorials to lost colliers and collieries. My grandfathers and most of my male ancestors were colliers. I just thought you would like to know that Underwood is and always has been in Nottinghamshire. I know it is very close to the county border and a lot of people from Derbys used to work there, but Nottinghamshire it is. I lived in Underwood as a child. No criticism intended. Please accept this as a constructive contribution. None taken Howard, I need to be told when I get things wrong so that I can put them right. Thank you very much for your time and trouble. Subject: These Guys Look Like Rescuers, Who Are They? Hello I was searching mining photos when I came across your site. I found this old photo in my Grandmothers collection. She lived in Haydock. I do not know which pit but these guys look like rescuers. Does anyone know who they are please? My uncles used to work at Haydocks Wood pit but this photo is from my mums side of the family Edwards not Ridgways. Yours Christine Courtliff nee Ridgway. My name is Alan Wright and was a brigadesman on Chesterfield Station for 17 years and in pit team for over 20 years. I have photo's of all the men on Chesterfield station if you require them. I have been talking to Pete Searson and he didn't know about your site.